“Acknowledge” of God has a different understanding than you may realize. “The verb is ‘know him,’ and it reflects the intimate experience of a personal relationship. The sequence of the lines may also suggest their communication of a promise: by trusting him fully you will know him […] When obedient faith is present, the Lord will guide the believer along life’s paths in spite of difficulties and hindrances…” (Expositors Bible Commentary: Proverbs). Trust is a call for total commitment. 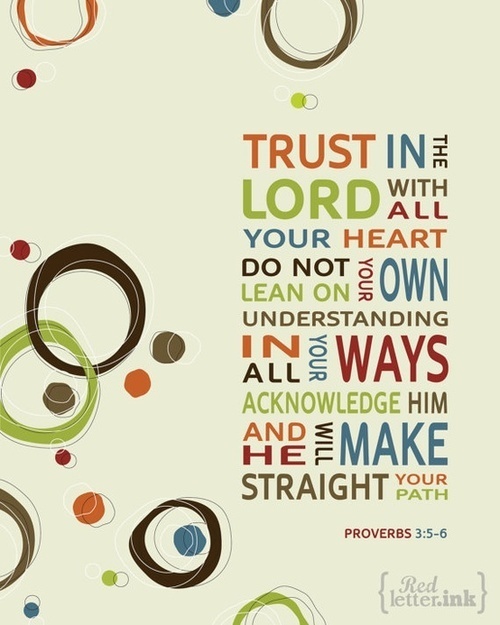 There is no middle ground, you either trust God, or you do not. Will you choose trust today? we are invited to pause, reflect and wonder once again. can we ever humanly understand this beautiful, awful, preposterous thing? And hope is a person: Jesus Christ. I have participated in a very self-revealing Lent this year that has exposed parts of my heart. I gave up all television and movie watching (apart from watching things with friends, and an occasional Sunday I watched a few shows). Six weeks is a long time. But in many ways it has gone by really quickly. I’m still not quite ready for Easter. 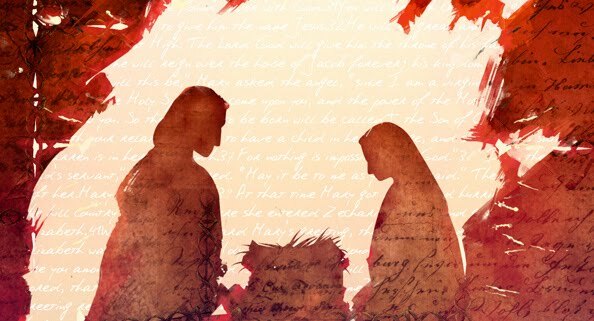 There is much to be said about this significant week, you can read some of my posts from Holy Week 2012 for more devotional reads. I was a little more dedicated last year. As I slaved away this week writing a paper on the sacrificial system in Leviticus, there was a phrase that caught my attention: the wrath of God satisfied. Of course this reminds me of In Christ Alone (what phrases DON’T remind me of a song? ), but in this case it was in the context of Leviticus 16, The Day of Atonement. Once a year, the High Priest made an offering for the corporate sins of the Israelite people. 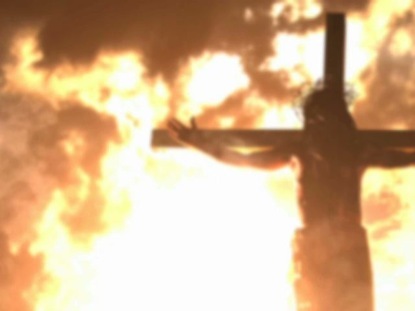 This was to show: the constant daily sacrifices made by the people for their sins was not enough. For a Holy God to continue to dwell among his people and for his wrath to not consume them, atonement had to be made. God. Dwelling in the camp with His people. I still am blown away by this. Anyway. I started this post earlier this week, and now it’s Good Friday. I’m saving more on Leviticus 16 for another post, but for now, for today, we rejoice in the brutal, humiliating death of our Lord Jesus Christ. A sacrifice perfect and sufficient. Unlike the Hebrew people needing to continually make sacrifices in Leviticus, this sacrifice satisfied the wrath of God.